Spring sports photos will be TODAY with JV Baseball pictures at 3:30. Friday, April 12th, during lunch there is an FFA Officer meeting. The high school spring play is this weekend this Friday and Saturday in the old gym. The Blue Ridge Thespian group will perform “Charlie and the Chocolate Factory”. Who plays Charlie in the play? Get your tickets and find out from any cast member or Ms. Yeagle. It’s $5 Student ticket night on Friday! This is National Library Week! To celebrate the library will have a featured book every day. Today's book is: Peaches. If you owe money to the Library, please bring in a nonperishable food item during the week and get $0.50 off your fines for each item! HS book club will meet in the library during lunch on Thursday. Come check out what Mr. Anton is reading! On Friday, we will be having Putt-Putt golf in the library with ice cream. See if you can get a hole in one. There will be a short summer volleyball meeting at 12:35 on Friday in the gym during lunch. Prom and Post Prom tickets will be sold in the commons during lunch Monday, April 15th thru Friday, April 26th . Prom tickets are $20 each and Post Prom tickets are $10 each. No tickets will be sold at the door. If you are not here during lunch, please see Mrs. Lagle to purchase your tickets either before or after school. Please plan on purchasing tickets with who you are walking with at Promenade AT THE SAME TIME! 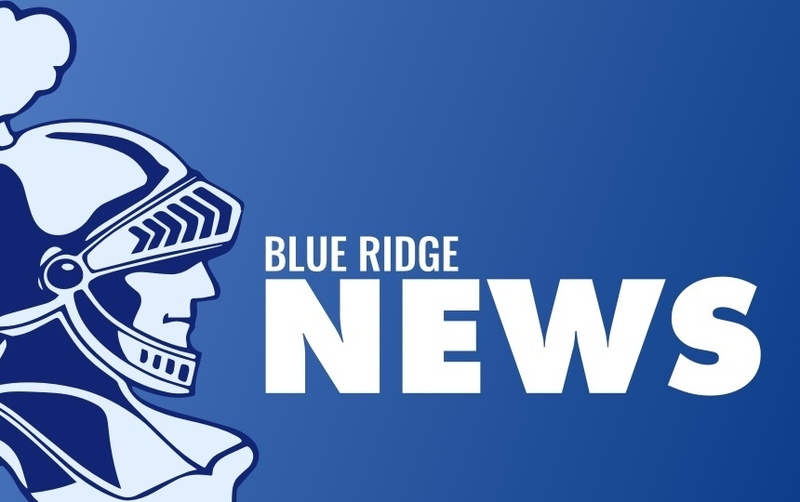 Non-Blue Ridge Guest Forms and Post Prom waivers must be signed and returned by Friday, April 26. Seniors: There are still some of you who need to bring in your baby pictures for the graduation slideshow. The last day to accept senior pics is May 1st. If you don’t have them in digital form, bring them in and we can scan and return them to you. Seniors, also be sure to check the bulletin boards for your fees and fines owed to the high school. Pay them in the office. Also, after May 1st, all payments must be made in CASH! No checks will be accepted. It’s a Flashlight Egg Hunt at Victory Christian church on Saturday, April 13th with a wiener roast at 6pm and Egg Hunt at 7pm! Bring your jackets, flashlights and friends for a great time! Today the Boys Track Team competes at Fisher beginning at 4:30. Teachers, please release the boys track team at 2:55 today. The Girls Track team competes in the Tri-Valley Invite at Le Roy beginning at 4:00. Teachers, please release the girls track team today at 2:40. The Softball team plays LeRoy at HOME with the Varsity beginning at 4:30 and the Junior Varsity shortly after. Go Knights!